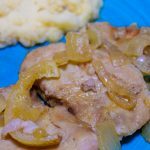 You Are Here >> Home » Easy Meals » Dinner » Easy Slow Cooked Pork Chops Recipe – Only 5 Ingredients! 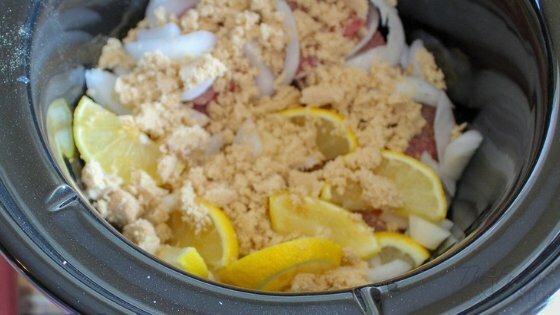 If you know me, you know I love my easy slow cooker recipes and break them out weekly! This easy slow-cooked pork chops recipe is only 5 ingredients and it's super easy and even the kids liked it so that's a major score! Keep in mind if you have thinner pork chops you will want to cook them a bit less. I got some a few months back on sale and forgot to adjust the cooking time so they were a bit dry but still just as good! It's easy to adjust the salt and pepper to taste and I've adjusted this recipe adding things in. In fact, this has been known as This and That Pork Chops in my house. 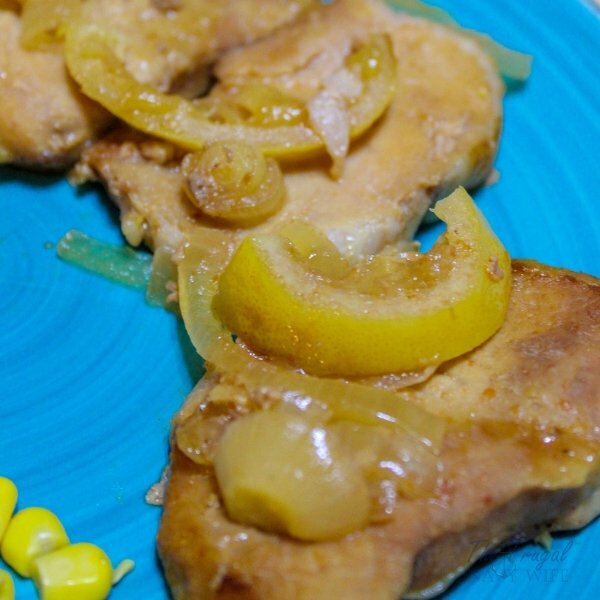 These pork chops go really good with my 7 Up Biscuits Recipe. 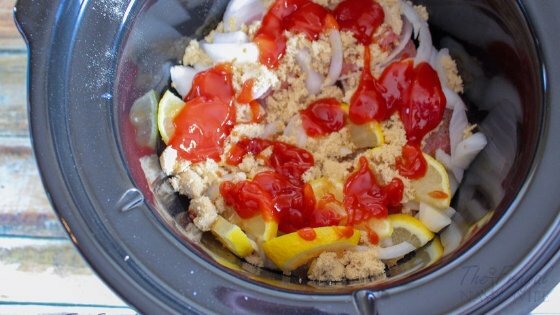 It's a great south recipe and easy to make. For a side dish, we like to pair it with this Green Bean Recipe With A Bacon Vinaigrette. My kids can't turn down veggies when they have bacon in them! 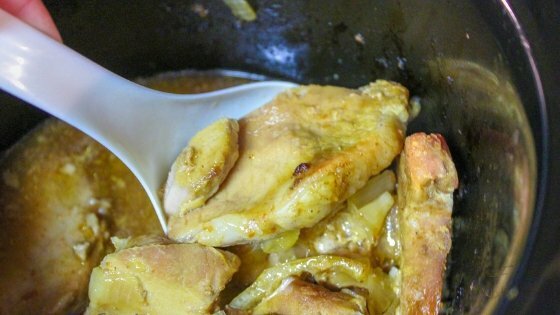 To really hit the dish off make sure to use this Easy Gravy Recipe. Though my kids seem to be just happy enough to eat it with ketchup instead of any gravy I make! 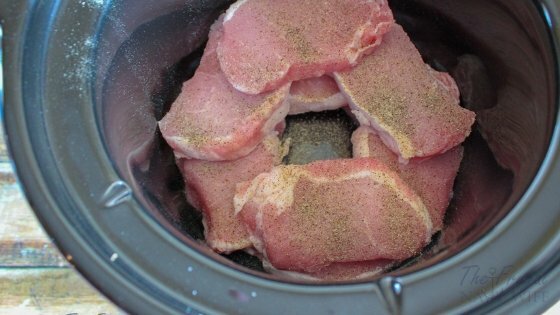 Place pork chops in a slow cooker; sprinkle with salt and pepper. Sprinkle with brown sugar; drizzle with catsup. Cover and cook on low setting for 6 hours. Makes 4 servings. 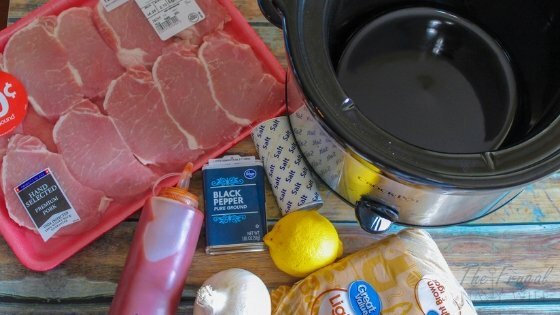 This easy slow cooked pork chops recipe is only 5 ingredients and it's super easy. 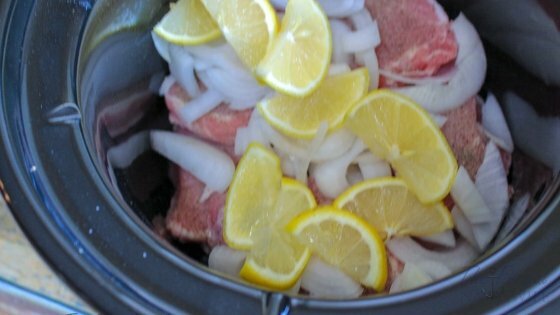 Dump and go crockpot recipes are a family favorite.